Hmmm..., originally uploaded by plingthepenguin. 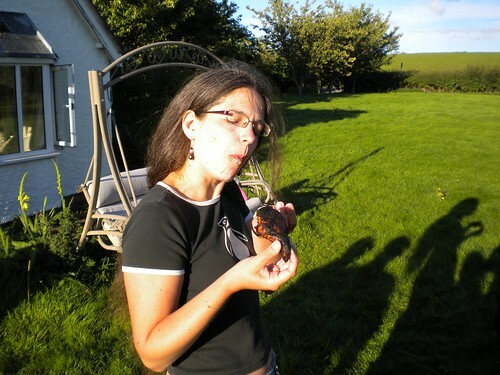 Me trying the marinaded chicken I'd brought to the meet ... the verdict was "tasty" (thank goodness ;) )! Meet pics are up here and on facebook (and attached to the Snowplains group on facebook, too ... or rather they will be, once facebook stops dicking around and saying "error" at me, damnit).